Sean Dyche says he is not surprised by West Ham's strong start because they "spent a fortune" and believes it will be a different story for Burnley in January. 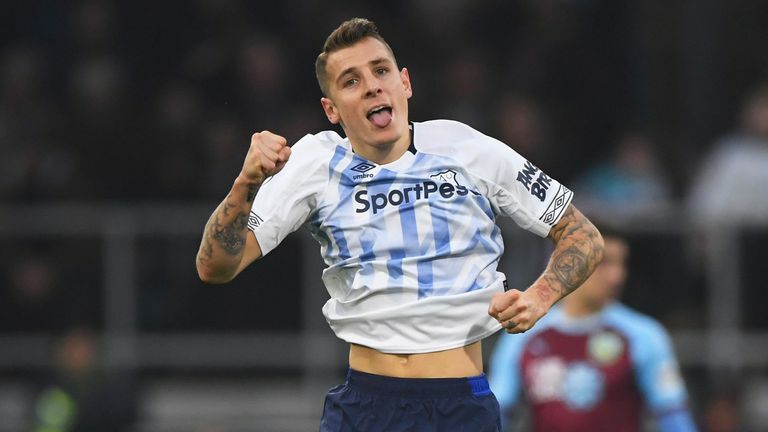 The Clarets have won just once in their last 12 games, beating Brighton 1-0 on December 8, ahead of hosting the Hammers in the Premier League on Sunday. Burnley have lost their last three on the bounce - most recently 5-1 to Everton on Boxing Day - and find themselves inside the relegation zone after the first half of the season, three points behind 17th-placed Cardiff. 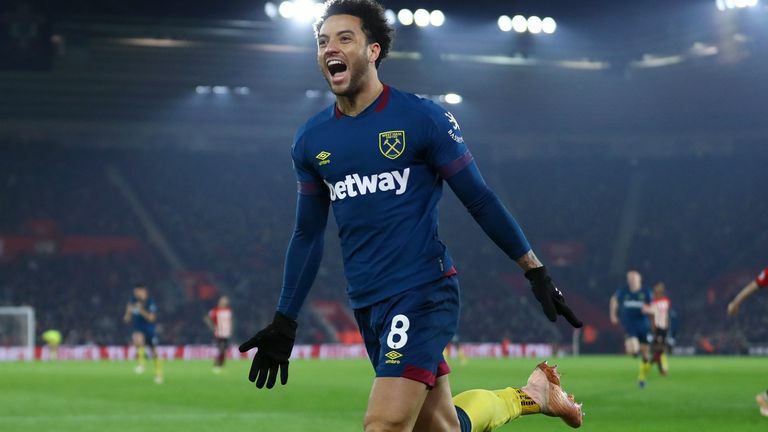 In contrast, West Ham, who spent over £100m on players in the summer, have won five of their last six Premier League matches - beating Southampton 2-1 on Thursday - and are ninth in the table at the halfway mark. "I think the only surprise about West Ham over the last few seasons is that they haven't been doing this," Dyche said. "They're a good squad. You look at the players - they've had different challenges. They've spent a fortune in the summer. "There's some real quality there but they still have days when they concede goals, so they are a team you can attack and get at. "But they do have an attacking threat which they showed last night [against Southampton]." Dyche confirmed that Johann Berg Gudmundsson is fit for the game on Sunday, while Stephen Defour and Robbie Brady are doubtful. Looking ahead to the January transfer window, and quizzed about the arrival of Mike Rigg - who has recently become the club's new technical director - Dyche added: "It's always been difficult for us. "We've never had the prowess to throw tens and tens of millions at situations, although we have grown considerably financially. "We're adding to that process with Mike (Rigg) coming in, but there's no extra expectation on him." When asked if Burnley would spend £50m on a player, Dyche replied: "I doubt it. It's the way the club is run, it's as simple as that. "Every phone call we make - we've had it this summer where we've approached players, who are worth no way near the price that's being asked, but it's being asked. "The market has changed, we attempt to adapt with it, but the club is run in a certain way and that makes it even more difficult. "If you look at the last three windows, look at the net spend of other clubs, you'll be amazed what they have spent. But we haven't. That's because Burnley is run in a certain way." 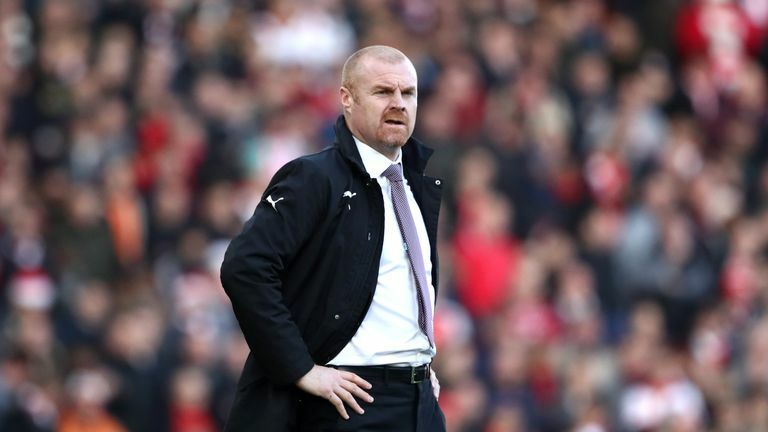 Reflecting on the season so far, and comparing it to last season when his team finished seventh and qualified for the Europa League, Dyche said: "We're at the halfway stage, we're not where we wanted to be. "I don't think we're miles away. A couple of games got away from us when they shouldn't have done, there's a few we should have gotten something from. "We defended so well last season and clearly this season, at certain moments, we haven't done. That needs to be addressed and it has been addressed. It's an ongoing thing. "This season the defending has had too many details lacking. Too many soft goals and too many soft moments. "We've worked on the training ground, we've looked at analysis, we've looked at shape changes. You have to keep monitoring the situation to find something that works."